Home » Car Audio and Video » What are Bass Restoration Processors? When it comes to your car audio system, bass is an extremely important factor. In order for you to truly enjoy the music in your vehicle, you will need to be able to hear your music’s low frequencies! Although adding a subwoofer to your car audio system will definitely allow you to hear more of those low frequencies, a bass restoration processor digitally restores that heart-pounding bass that is still missing from your music. Bass restoration processors are the perfect add-on for those who want the lowest hitting bass possible. You can read this Knowledge Base Article if you’d like to learn about all the different types of sound processors. 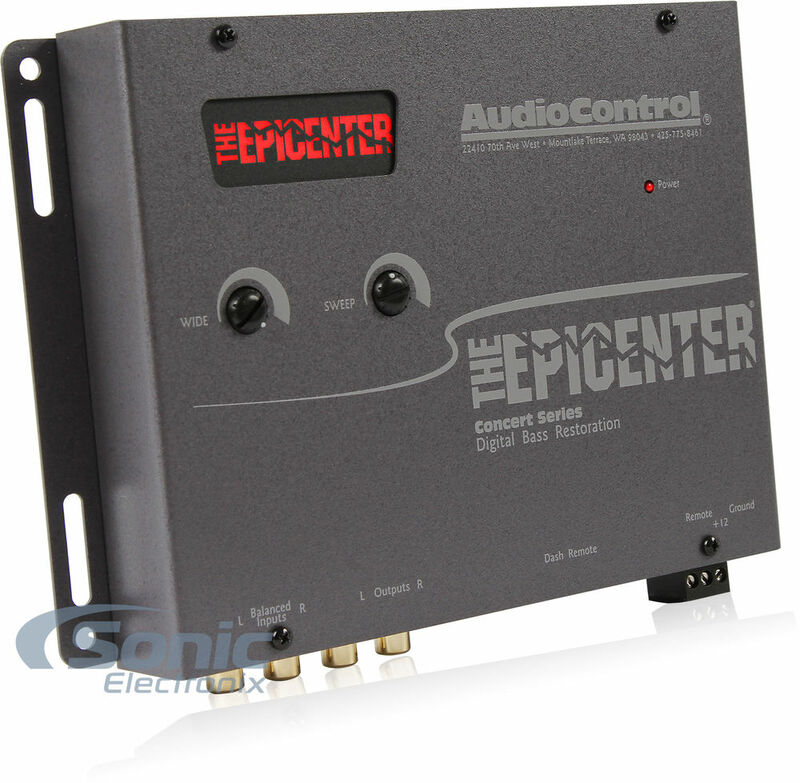 A bass restoration processor, also called a bass booster or bass restoration processor, such as AudioControl’s Epicenter, has multiple adjustments which allow the user to bring out the ideal amount of bass for their music. Most of the time, they have three types of adjustments: frequency, width, and level. The frequency adjustment allows you to choose the specific frequencies you would like brought out in your music. 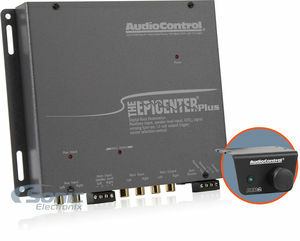 This allows you to have complete control over the bass in your system. Width adjustments on bass restoration processors allow you to choose the amount of frequencies that are affected. You can adjust the processor to affect a wide or narrow bandwidth of frequencies around the selected frequency. For example, if you have set the processor to affect 30 Hz, a narrow setting would only mainly affect that frequency, while a wide setting would affect a large range of frequencies around 30 Hz. Lastly, you can adjust the amount of manipulation for that selected frequency at the selected width, with the level adjustment. If you would like to get the most bass possible, you can crank the level knob up. In addition, you can also turn it all the way down if you would like to. For convenient adjusting of this setting, this knob is usually located on an included bass remote. Most bass restoration processors are the same, with some varying features such as different types of bass adjustments. Most of them include a bass remote, however there are a couple that do not have this accessory included. 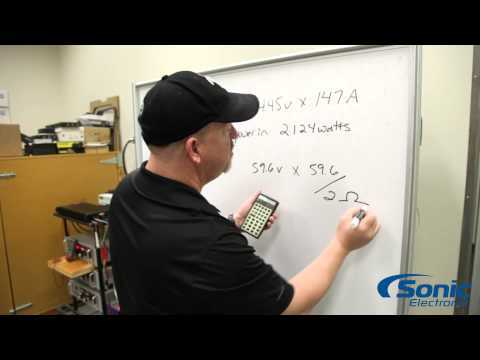 In addition, these sound processors have a variety of maximum output voltages. Lastly, most bass restoration processors have an auxiliary input, although there are a couple models that don’t come with this input. Most bass processors are connected the same way. There are Ground, 12V power, and remote inputs on the processor that will all be hooked up to your aftermarket car stereo. The ground wire from your car stereos is going to go straight to the processor, the yellow 12V wire will also go straight from the car stereo to the processor, as well as the blue and white remote wire which will go from your car stereo – right to the bass processor. This will allow you to tie in power for the processor right from your car stereo. To get signal to the processor, you’re going to hook up an RCA from your car stereo’s subwoofer pre-out to the input of your monoblock amplifier. Then, you will use a jumper RCA connected from the output of your bass processor and into the input on your monoblock amplifier. And that’s all it takes to wire your bass processor up, so you can start restoring the bass in your car audio sound system. Shop all of our bass restoration processors and find the best one for your car audio sound system! I've always had a passion for cars and audio. My childhood consisted of many car shows as well as helping my father work on his vintage cars. I've also always had a passion for music - I like all kinds of music and am fluent in a few different instruments. Today, I'm a marketing assistant at Sonic Electronix and very much enjoy all things audio!